One of the most common user problems on Windows 10 machines is when the keyboard stops working. In this case, most often the keyboard does not work on the Login Screen or in the Windows Store apps. Moreover, the mouse in most of these cases works fine, despite the connection of both devices via the single USB interface. What to Do When Your Keyboard Is Not Working? In this short article we’ll talk about possible methods on how to fix a problem when it’s impossible to enter the password or simply type in from the keyboard. PC’s keyboard is pretty important and essential piece of the machine, so when it stops working you should ask yourself—maybe it is a time for buying a new keyboard on Amazon? But if you want to fix the problem using current keyboard, the next thing you need to do is to check if your keyboard works fine on another computer and is securely connected to a USB or PS/2 port! 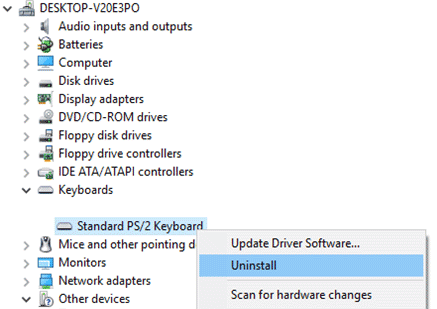 Restart your computer and try to access you BIOS/UEFI menu by pressing a special key (usually to access BIOS you need to press F1, F2, F11 or Del key). If it was possible to get the BIOS, then on the hardware level, the keyboard is OK. But don’t forget to check that the keyboard is working properly in BIOS/UEFI. The simplest thing you can do to get a keyboard back to life is to reconnect the device to another USB port of your computer. If the problem does not resolve immediately, restart the machine. Unfortunately, the method is suitable only for computer owners, and it does not always work. 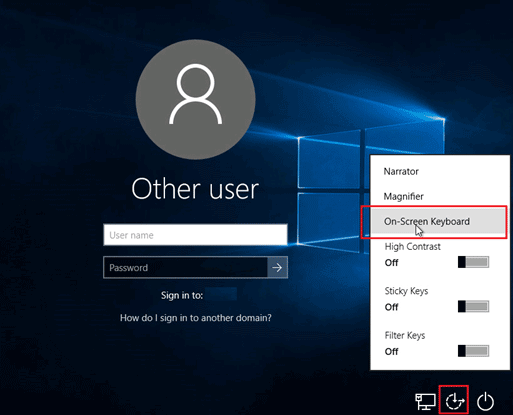 If you are facing with the fact that the keyboard does not work on the login screen and you can’t enter a password to log on the system, you can use the onscreen keyboard (assuming that the mouse works fine). Press Ease of access button on the right of the lock screen and select “On-Screen Keyboard” item. Now you can use an on-screen keyboard to enter your credentials. If the mouse doesn’t work for you on this step, then try to turn off the computer (laptop) by long pressing the power button, then turn it back on. 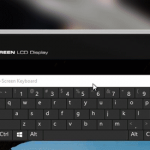 What to Do If Keyboard Doesn’t Work Only on Windows Login Screen and Store Apps? A common case is when the keyboard works properly in BIOS, in classical Windows applications (notepad, Word, etc. ), but does not work on the Windows 10 Login Screen and in Windows Store Apps (for example, in the Edge browser, in the taskbar search and etc.). 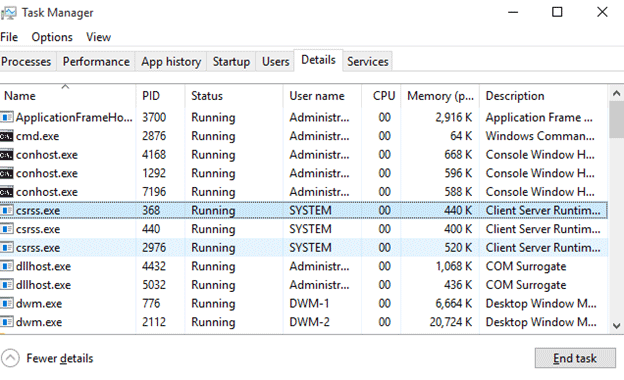 Most often this issue is happening because the process ctfmon.exe is not running (you can see it in the Task manager: right click on the Start button -> Task Manager -> Details tab). Restart the computer and test the keyboard. Try manually reinstalling keyboard driver. To do this right click on the Start button and choose Device Manager. Under the Keyboards (or Human Interface Devices (HID)) section find your keyboard, right click on it and press Uninstall/Remove. After you uninstall the device, you must restart your machine. Then Windows 10 should automatically recognize and install the necessary drivers. If automatic search does not help, then try downloading and installing the driver from the site of the manufacturer of your keyboard.